Seriously though, I love Paper Pumpkin. Have you tried it yet? Check it out HERE if you haven't already! I loved this month's kit. 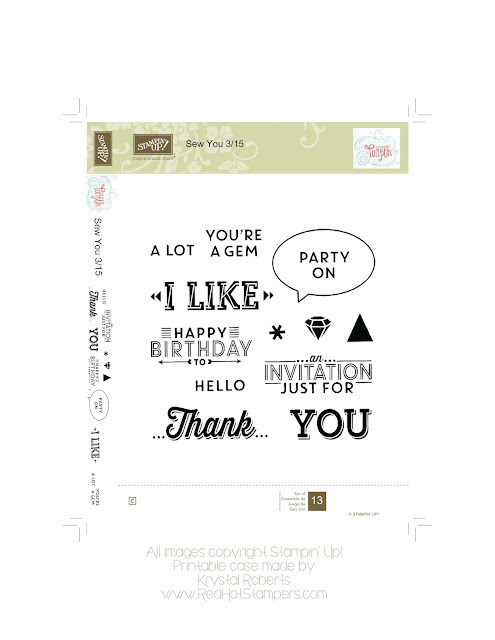 I love the classic black and white and the stamp set has so many great sentiment stamps! Plus, the epoxy stickers are adorable and in one of my favorite colors! If you missed it, you can buy a refill for a limited time! (And this one will sell out fast!) CLICK HERE FOR THE REFILL. So what does my love for Paper Pumpkin and my love for organizing have in common and why is it important to you? Well, I'll tell you. I have a hard time loving my Paper Pumpkin stamps when they're piled in a cute jar or a decorative box. I prefer them stacked up neatly in a row by all my other well-loved stamp sets. Which means... they need a case! (Are you getting excited yet?) So without further ado...(insert drumroll here)... I present...an insert for your very own Paper Pumpkin clear case insert!!! Free for you to print and share. All I ask is that you give proper credit and direct others to find it here. Thank you. Now go! Print and organize! Oh and just so you know, the correct printed size is 5 1/2 inches across the colored banner on top. You may have to print a couple testers to get it just right. Or if you don't have OCD, forget about it. ;) Please leave a comment and let me know how you like it, I'd appreciate it!